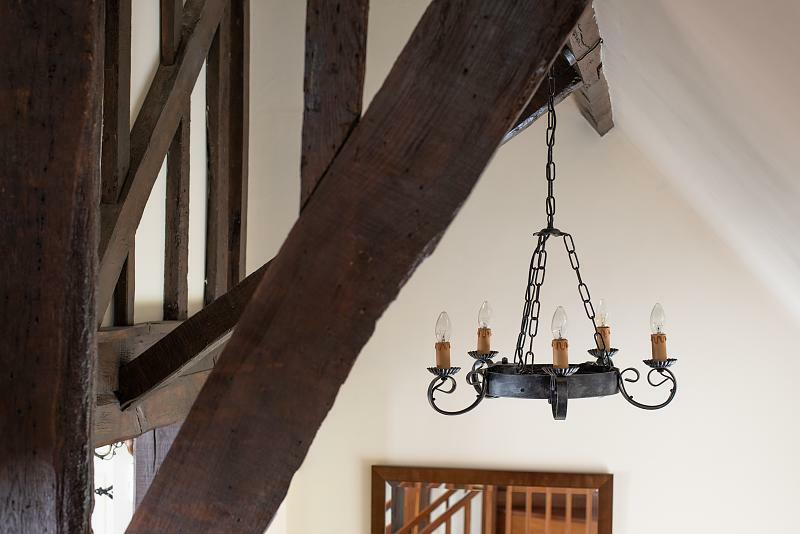 **GUIDE PRICE £900,000 - £950,000** GRADE II LISTED FORMER FARMHOUSE DATING BACK TO THE 17TH CENTURY, CHARMINGLY RESTORED WITH EXTENSIVE GROUNDS, OUTBUILDING & DOUBLE GARAGE. 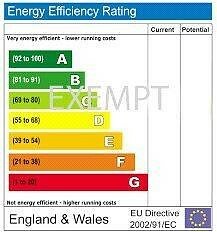 GP £900,000 - £950,000. 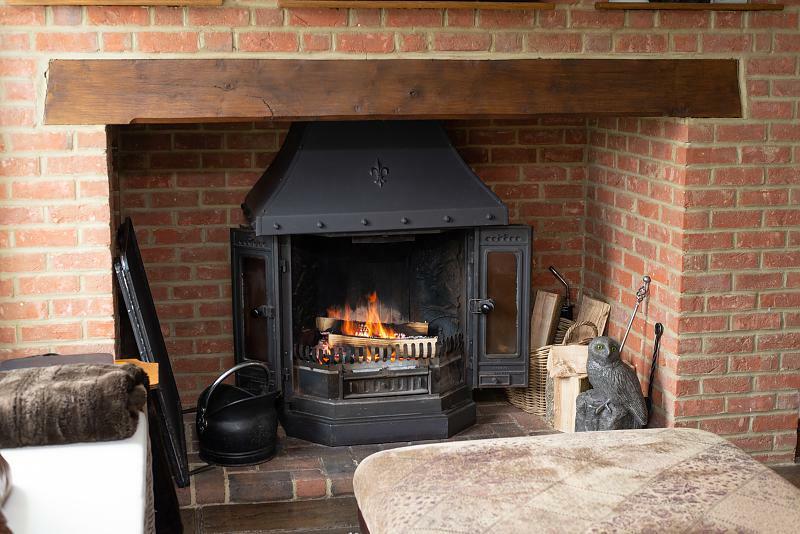 The Farmhouse is a simply stunning Grade II listed former farmhouse dating back to the 17th Century, situated in the village of Mereworth between Maidstone and Tonbridge. 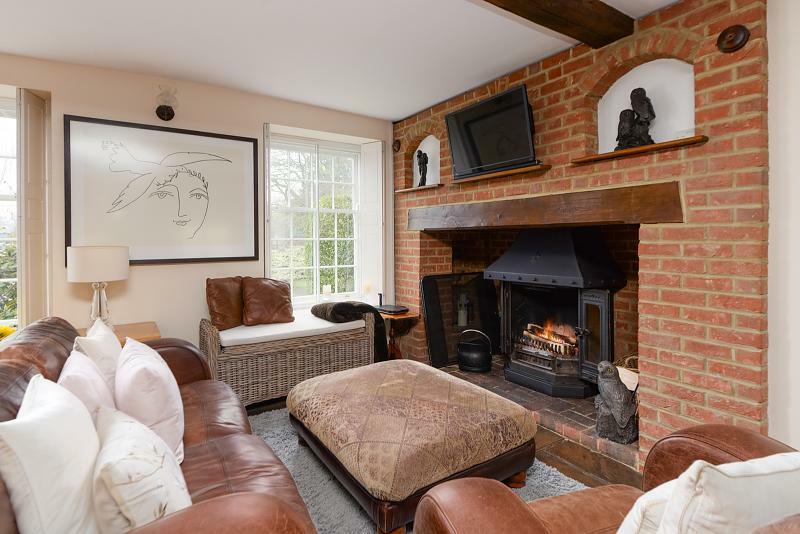 This extremely attractive and unique family home sits in attractive landscaped grounds with a listed outbuilding and double garage. The property was completely refurbished in 2000 renewing pretty much the entire house creating an old house with a new inside. 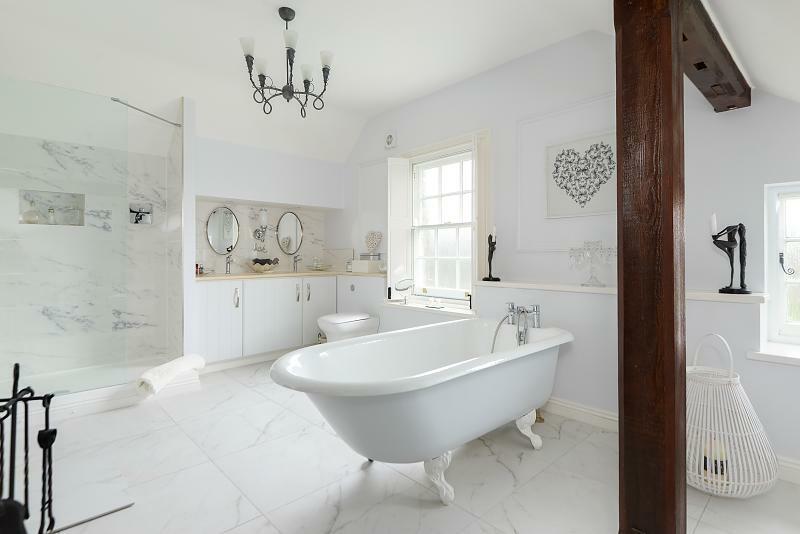 The house is now impeccably presented for modern day living but has kept its character and original features throughout. 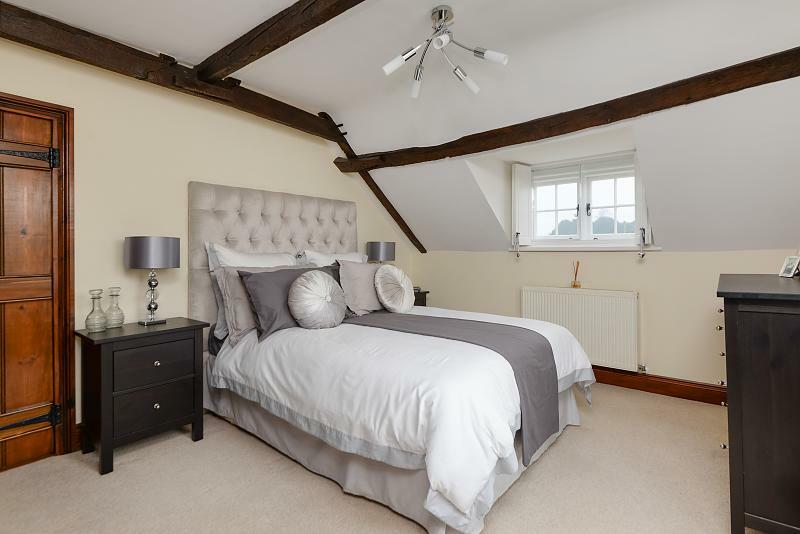 The property itself is arranged over three floors with four bedrooms, two bathrooms, four reception rooms including a study and tanked cellar, a kitchen/breakfast room and utility room. 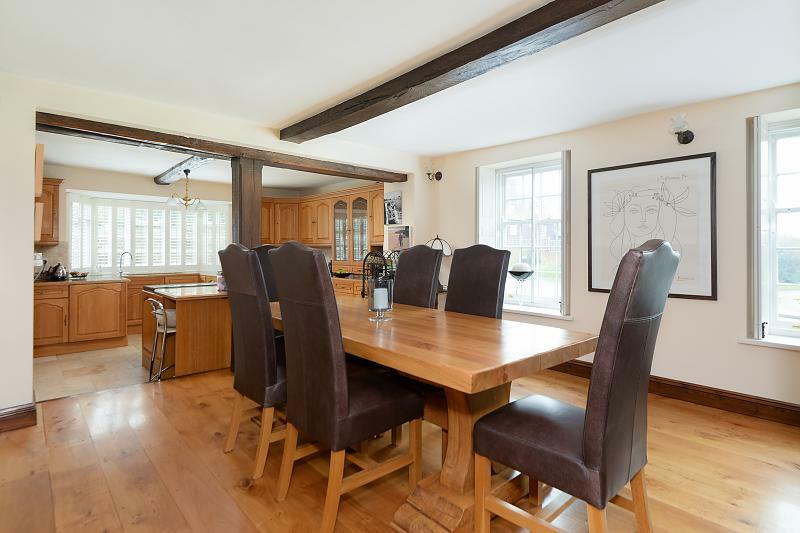 The property is extremely spacious with an open plan fitted kitchen/dining/family room being the hub of the home with its beautiful feature Inglenook fireplace and exposed beams. 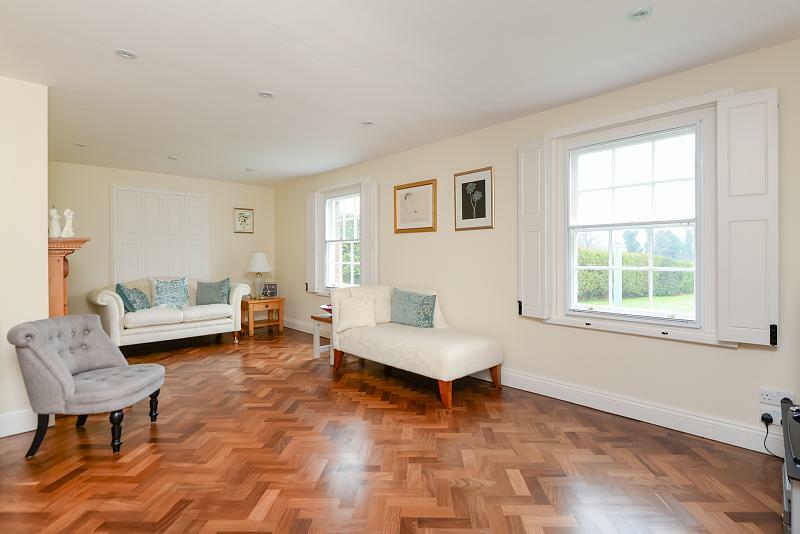 The separate sitting room has the original stunning parquet flooring and dual aspect windows overlooking the gardens. 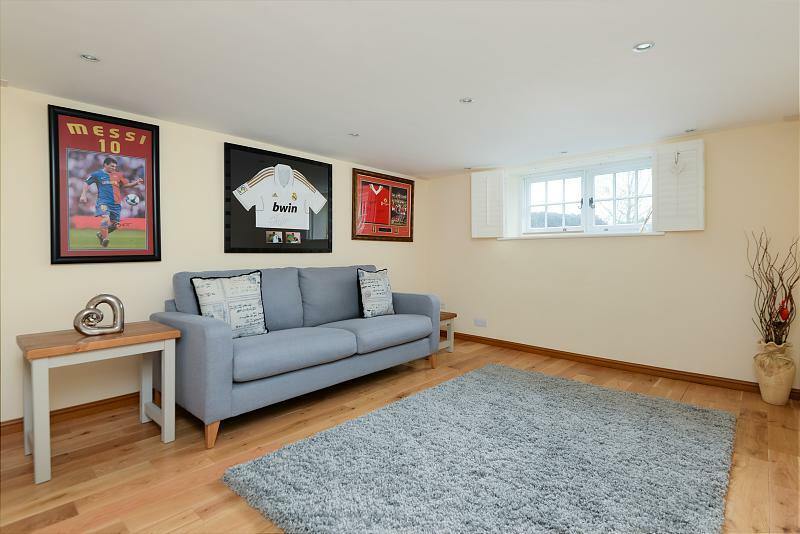 The converted cellar has been tanked and could be used as a fantastic play/games room for the children or even could be used as a fifth bedroom. 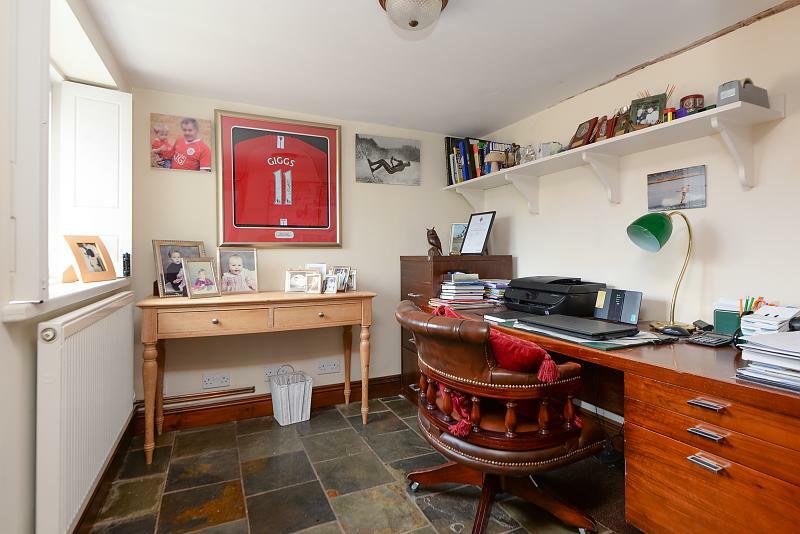 Additionally, on the ground floor is the study, downstairs cloakroom and utility room. The striking mahogany staircase takes you to the first floor with mezzanine overlooking the entrance hall. 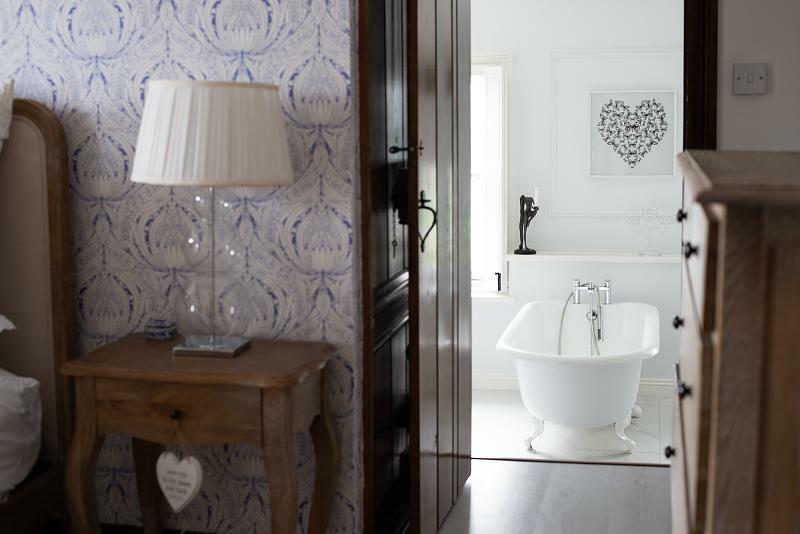 The large master bedroom has fitted mirrored wardrobes and steps down to the most wonderful bathroom with cast iron roll top bath, open shower cubicle, his n hers sinks and to top it off its own log burner. 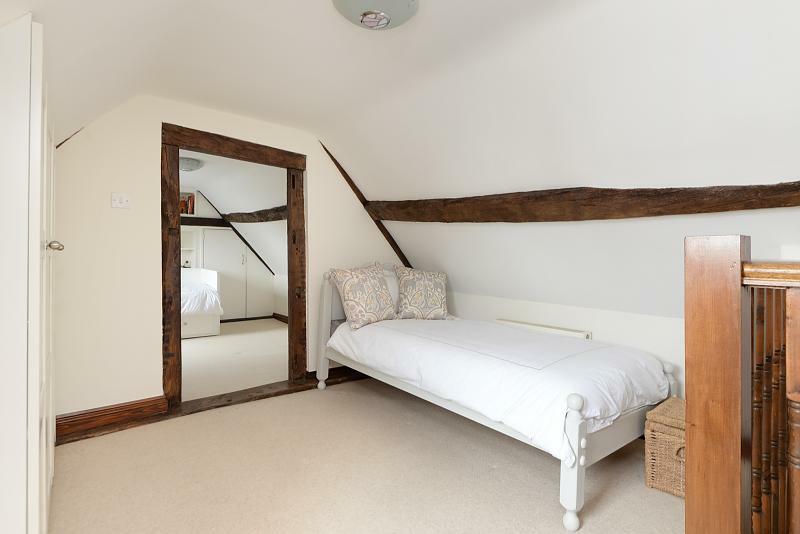 The guest bedroom also has fitted wardrobes and has wonderful views of the church from the dual aspect windows. 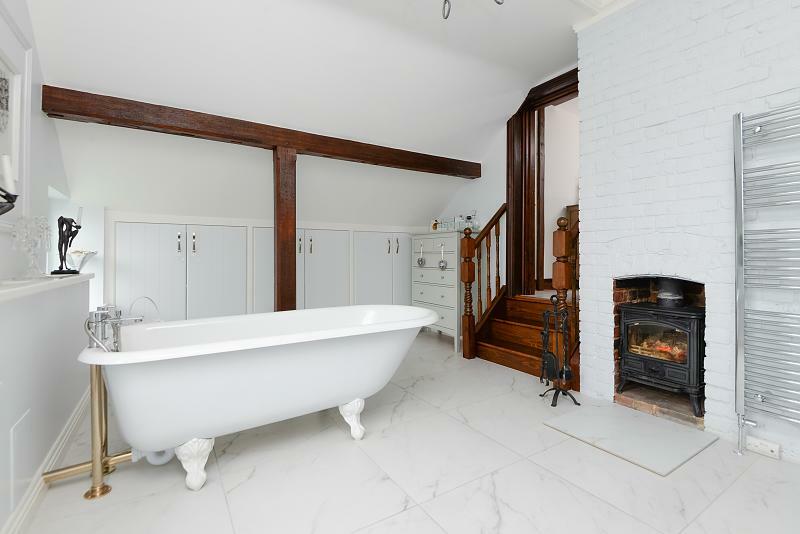 The family bathroom has a corner bath and separate shower. 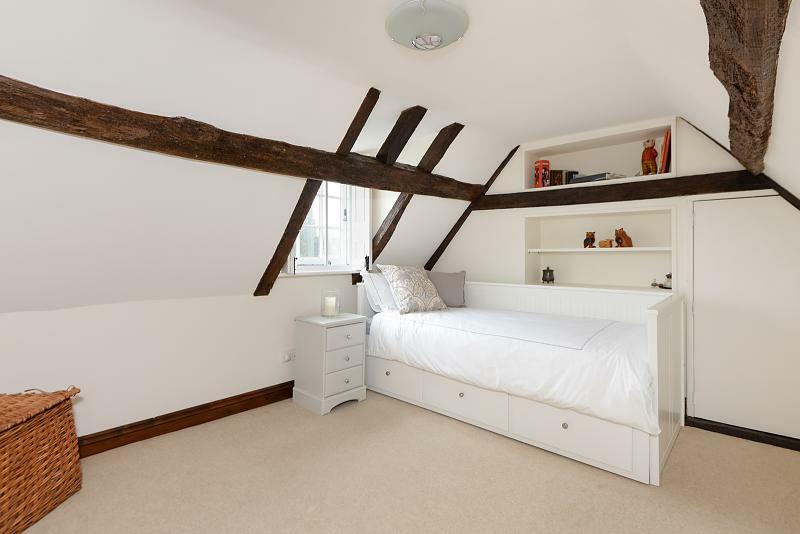 On the top floor there are a further two linked bedrooms with fantastic beams and storage space. 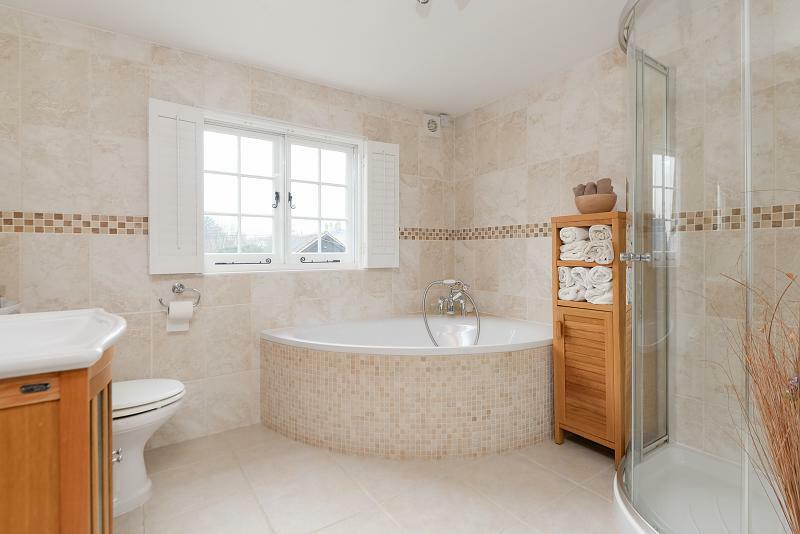 The property has gas central heating, acoustic double glazing and all the windows have attractive shutters. Mereworth is an agricultural village between Maidstone and Tonbridge with outstanding views of hop fields and the historic St Lawrence Church, a magnificent Palladian style church built of local stone in the early 1700s, views of which can be seen from the farmhouse. The closest train station is Wateringbury (2.4 miles) and both Yalding and West Malling are easily accessible. The M20 is approximately 4 miles away with links to London and the coast. There are bus links to Maidstone and Tonbridge and West Malling high street is just 3 miles away with a variety of shops, banks, post office and other local amenities. The village has its own excellent pre-school and primary school and there is also an excellent choice of other primary schools and secondary schools within the catchment area. The property is approached through swing electric gates via a gravelled driveway that sweeps up past the garage and outbuilding up to the house. The detached double garage has two large bays secured by powered doors and has a covered log store to the side. The generous listed outbuilding has two rooms and has potential once finished to be used as an annexe, workshop, studio or even gymnasium. Due to the position of the house within the grounds there are both extensive landscaped gardens to the side and the front of the house. 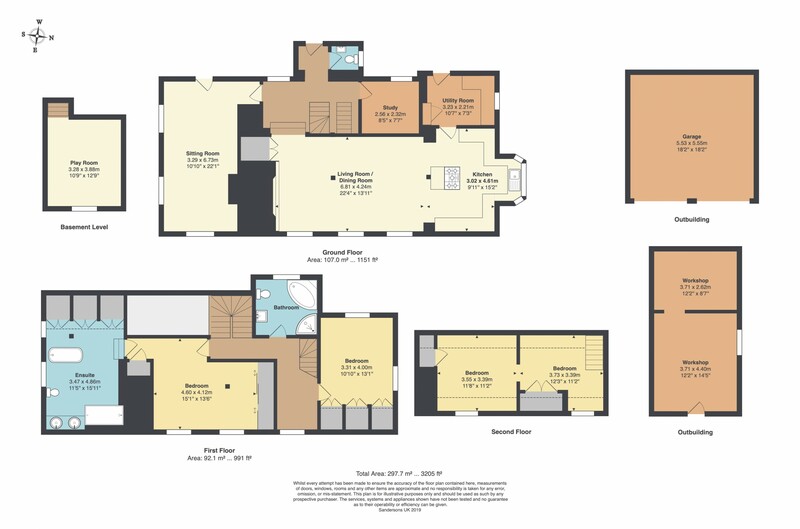 The gardens to the front could potentially be separated from the grounds and subject to planning permission a new bespoke property could be constructed.